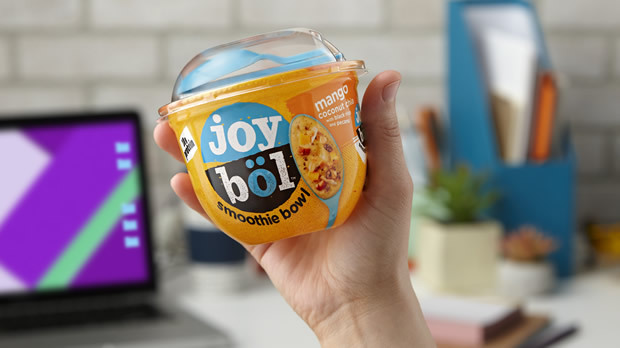 Kellogg’s is bringing its new joyböl brand in the UK this month, targeting young urban millennials with the UK’s first packaged ‘smoothie bowl’. joyböl is an all-in-one fruit smoothie bowl containing a mix of grains, nuts, seeds and fruit in a vibrant on-the-go pot. Simply pour cold water or milk into the pot, stir and enjoy. Recognising the value in targeting millennials – representing 14% of the UK population* – the joyböl brand has been developed by a small group of food developers at Kellogg’s. 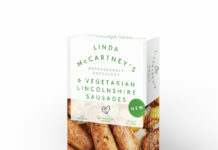 The pots took 18 months to develop through multiple consumer trials, using real-world insights to determine a new type of breakfast option fitting with on-the-go lifestyles. The joyböl team watched consumers at work, logged their habits and proactively responded by creating an entirely new breakfast concept; joyböl is the world’s first packaged smoothie bowl, with no need for refrigeration. “Search #SmoothieBowl on Instagram and you’ll see at least 1.5million posts appear from people sharing their food experiences. “joyböl is launching into an environment where our target audience of urban millennials is set to be worth 75% of all packaged food growth by 2025. 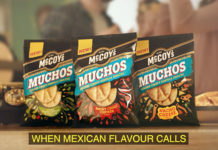 Initially targeting the convenience and travel sector, the brand launches across city centre convenience stores this month, with gradual distribution into UK supermarkets later this year.